Aikatsu! – 05 | Mezashite! 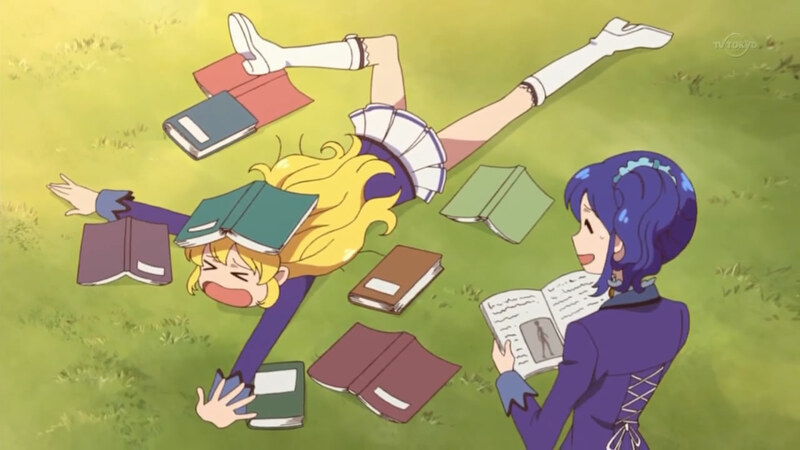 Silly Ichigo, that’s not how you read. I hope you all weren’t hoping that there would only be two insert songs, because spoiler alert, this week we finally get a new song, spurred on by the finally appearing third member of the idol group. Enjoy this week’s dose of idols. Whee! Thanks for Aikatsu 5! Would anybody know when Aikatsu is gonna have OP/ED singles out? I’m addicted to both songs and their website http://www.aikatsu.net/ doesn’t seem to say it though it’s most likely my amateurish Japanese at fault.